It’s been a while since I have done one of Cee’s Share Your World challenges, and as it is the 16th May and not the 15th when it was posted, I’ve changed the title a bit. Here we go! My first language is English (British English to be precise, with a Scottish accent). I did French and German at school, both to Higher level, and did evening classes in both later on in life as well. I spent 18 months studying Danish full time when I lived in Copenhagen, and can understand Swedish and know quite a lot of vocabulary, mostly domestic words. I took Polish classes in my twenties, and also did some Russian classes years ago. At the moment – just finishing Barbara Pym’s wonderful book Excellent Women, and picking up Frankie and Cuisine magazines. Watching – Designated Survivor, the latest series of Dr Who and last night we watched an old episode of Yes, Minister. Listening – podcasts and Radio New Zealand. Eating – I made minestrone soup on Sunday, a chilli yesterday which will also do tonight, and will do lamb burgers on Wednesday. All the November fruits are in abundance right now (see my last post). The Beehive (New Zealand Parliament) building on the way to work. and what are you looking forward to in the week coming up? Going to see the Royal New Zealand Ballet on Saturday, and then a film of the Royal Ballet on Sunday, plus dinner with friends on Friday. 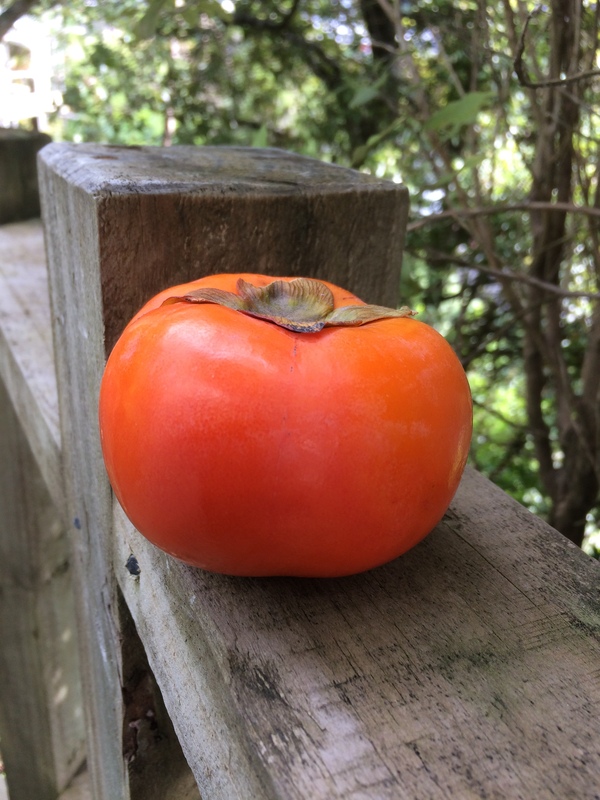 I loooove persimmons. That photo is making hungry! Yes they are so good!